Labels are great ways to provide information about, and market a variety of products. beer and wine bottles are products, which are largely marketed using unique labels. As these products come in various sizes and shapes, label manufacturers have the advantage of creating different types of wine and beer label designs. Performance Label Company (PLC) specializes in providing a variety of beer and wine labels for beverage manufacturers. At PLC, we are always ready to take on a challenge. We specialize in creating custom beer and wine labels for new products. 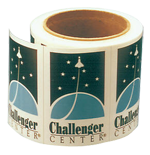 We can also provide copies of previously designed, or standard labels. Customers can Request for a Quote, Request for a Sample, or Place an Order. If you have any queries, please feel free to contact us.